Please inform Apartament Hieronim in advance of your expected arrival time. You can use the Special Requests box when booking, or contact the property directly with the contact details provided in your confirmation. 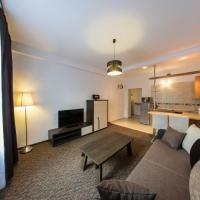 Apartament Hieronim is a self-catering accommodation located in Kraków. Free WiFi access is available. The property is 1.2 km from Wawel Royal Castle. 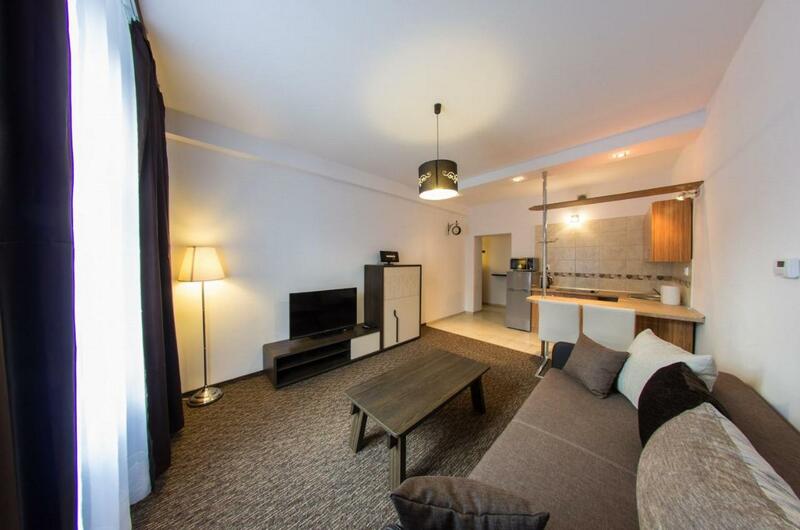 The apartment features modern design and it is equipped with a TV, a DVD player and a CD player. There is a full a kitchenette with a microwave and a refrigerator. Featuring a shower, private bathrooms also come with a hairdryer. City view can be enjoyed. Guests can take advantage of the kitchenette for cooking. Also there are various restaurants within walking area. Krakow - Balice Airport is located 15.9 km away. All children under 2 years are charged PLN 15 per night for children's cots/cribs. All children under 6 years are charged PLN 20 per night for extra beds. Public parking is possible on site (reservation is not needed) and costs PLN 40 per day. Rint - Kazimierz Wietora Street.